"News - Scots Mini Weekend" - bit of a blooper, this one. 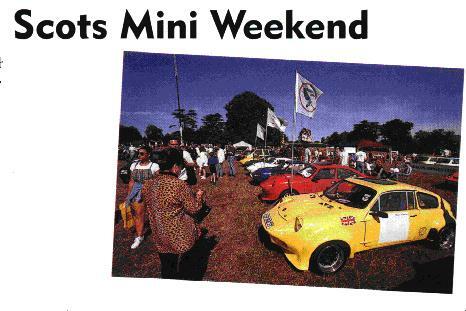 The photo was taken at "Mini In The Park"
at Cornbury Park, Oxfordshire, in August 1998. Phil Adams's Mk. III Mini Marcos is in the foreground.